Welcome home to the Chelsea floor plan! No city taxes! This beautiful home is only 2 years old and sits on a lot that is a little over an acre! 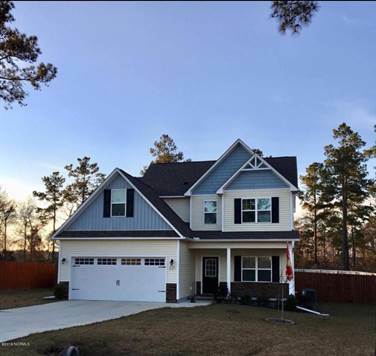 3 bedrooms with a bonus room, 2.5 baths, and a large walk-in master closet. The interior of the home is neutral and updated with gray cabinets and granite countertops. A 6 foot wooden privacy fence and metal shed have been installed in the back yard. Enjoy a formal dining room and a large open living-room. This home is ready for a new owner! Come check it out!